MADRID, May 17, 2010 (AFP) - Real Madrid coach Manuel Pellegrini refused to be drawn on his future after watching his side lose the La Liga title to Barcelona on the final day of the season. Pellegrini spent over 250 million euros in the summer on new 'Galacticos' but could not deliver a trophy in his maiden season and the Chilean is expected to be axed with Jose Mourinho waiting in the wings. "I am not going to talk about my position and I am not the person to evaluate my work," said Pellegrini. "The simple fact is I have a contract for one more year." Pellegrini guided Real to a record 96 points in the league but could not match Barcelona's 99 points as Madrid watched their arch-rivals retain the title. Real needed to beat Malaga and hope Barcelona dropped points against Valladolid but in the end Real drew 1-1 with Malaga as their season petered out. A league win would have been a real shot in the arm for the under-fire Pellegrini who had failed in the Champions League with his Real charges crashing out to Lyon at the last 16 stage to end their dream of a final at their Santiago Bernabeu stadium. 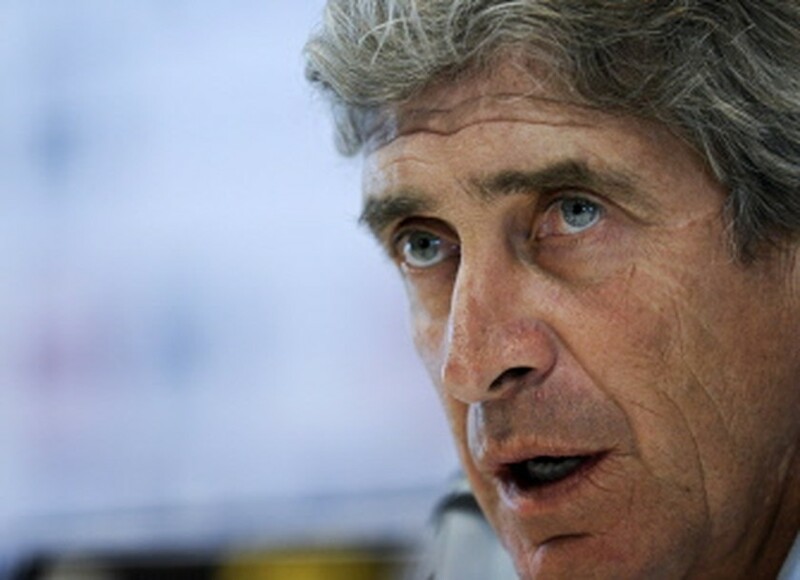 "It is not easy to build a team with a new coach and new players," countered Pellegrini. "Some of the criticism has been fair and some of it not at all fair. "It has not been easy to get so many points against a great Barcelona side although we can't say it has been a good season without picking up a trophy. "I appreciate the efforts of the players who were always ready to work. Their conduct has been exemplary on and off the field. "We have to continue closing the gap on Barcelona but this squad will give the club the titles it needs." Inter Milan coach Mourinho, who won the Italian title on Sunday, has openly admitted he would like to coach Real one day but whether the former Chelsea manager comes or not, Pellegrini is expected to bow out after one season. "It is not just Pellegrini who is to blame," said defender Raul Albiol. "The players must shoulder the blame too. "We failed in the key matches. It was hard to lose both games against Barcelona and above all we are disappointed that the (Kings) cup and Champions League got away from us." Defender Sergio Ramos said the Real players were behind Pellegrini and saluted Barcelona for a terrific league campaign. "We had a great season in the league but they (Barcelona) were better than us in the important games," explained Ramos. "They slipped up less than us and we have to congratulate them. We have to be united now and learn from our mistakes. "Pellegrini has always had our backing and we have always supported him and we do now."